Take a ride on an even smaller train! The Picnic Field Railway, otherwise known as The Saffron Walden and District Society of Model Engineers, were invited to the site by Lord Braybrooke in 1989 and were privileged to be able to use the raised track that he had put in, what was then, the field for his daughter’s horses. At a later date the ground level track you see today was installed. The opportunity for the Club trains to run alongside or passing the AER trains is a unique experience producing much pleasure and waving from passengers on both trains. 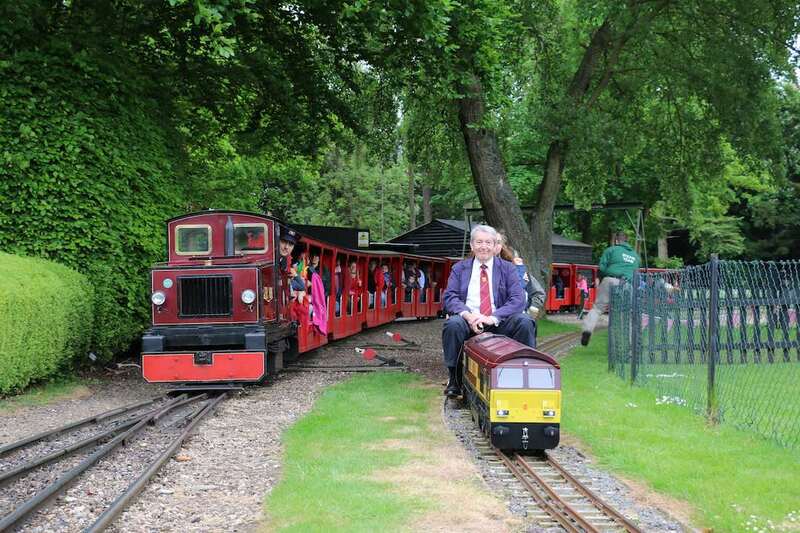 The Picnic Field Railway run every weekend and bank holidays and as often as they can throughout the school holidays. Blow away those cobwebs and join us for the first day of our 2018 running season. A relaxed day with visiting locomotives running alongside our passenger services. We are celebrating Father’s Day with a road-steam rally We hope to have a variety of miniature steam vehicles on display over the weekend. 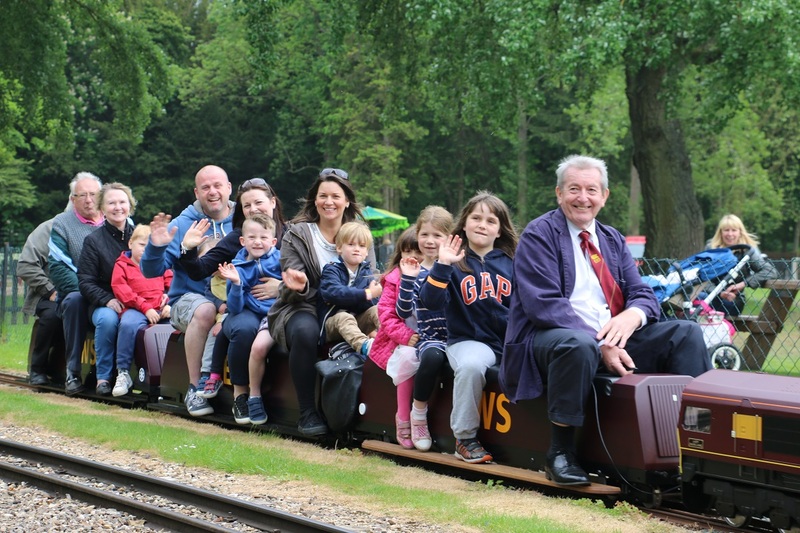 The Picnic Field Railway will also run “driver experience” sessions alongside passenger trains, where dads (and others aged 16+) can have a go at driving one of our miniature railway locomotives. **There will be an additional charge on 16th/17th June for rides behind a traction engine or to drive one of our miniature locomotives. Owners of railway locomotives and traction engines designed by the well known British firm “MAXITRAK” are gathering at Audley End. The public are welcome to come and see our line-up of Maxitrak locos and to take a ride on the Picnic Field Railway. A day for steam locomotives of all shapes and sizes to take centre stage on the Picnic Field Railway. We end the main season with another relaxed day of visiting locomotives running alongside our passenger services. Once again the Picnic Field Railway will be running on a number of dates during the Audley End Railway’s Halloween event. Father Christmas is coming to the Audley End Railway and the Picnic Field Railway will be running alongside most days.